Oh, Canada! Montana welcomes thee! 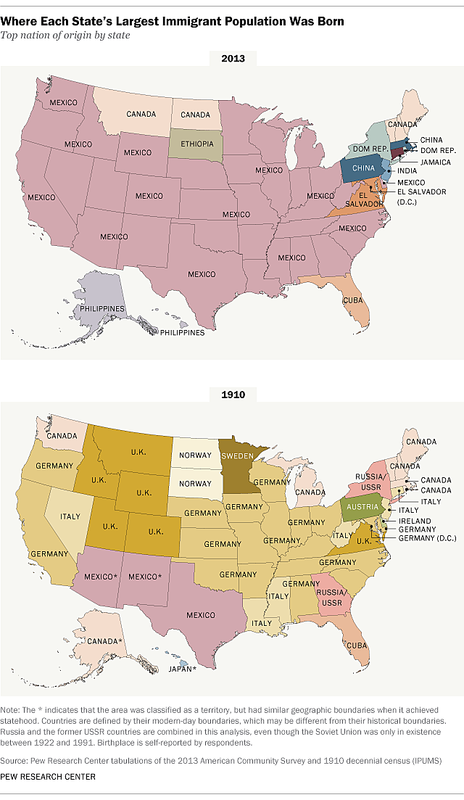 On this day when we all, ostensibly, are from Ireland, we thought you’d enjoy seeing the actual source of immigrants to the United States – and how that has changed over the years. The Pew Research Center provided these maps. Ireland was, in fact, the largest source of immigration to Montana in 1870. But since then, it’s been all United Kingdom and, in recent years, Canada. And that’s not likely to change for the foreseeable future.